We want to make it as simple as possible for you to find what you are looking for. Our Eras and Cultures categories provide one excellent way to do just that, by organizing our products according to various popular historical periods, genres, and styles. Whether you are looking for a particular kind of gothic clothing, a Civil War sword, Japanese armour, camo clothing, pirate flags, steampunk earrings, or any number of other pieces that we carry here on the site, these Eras and Cultures will make it easy to search for the perfect item. Take a moment to explore, and you are sure to find excellent clothing, accessories, weapons, armour, decor, costumes from around the world and throughout history. The Crusades were a series of holy wars by western Christians to recapture the Holy Land from the Muslims. The Crusades began in 1096 and ended in the late 13th century. The term Crusade was originally applied to European efforts to retake the city of Jerusalem, which was sacred to Christians as the site of the crucifixion of Jesus Christ. Thousands of men, and even women, ranging from knights to peasants marched in the Crusades. Many military religious orders combined spirituality with martial ideas of knighthood and chivalry patterned on monasticism. The most famous groups were the Knights of St. John of Jerusalem, also called the Hospitalers, and the Poor Knights of Christ and the Temple of Solomon, called the Templars. These orders of Crusading knights tried to mediate between the Churchs concerns and the interests of various princes. The Templar knights and Hospitaler knights began to gain popularity and support as they gained wealth. They extended the politics of Western Europe, built and fortified great castles, and sat on the councils of rulers. 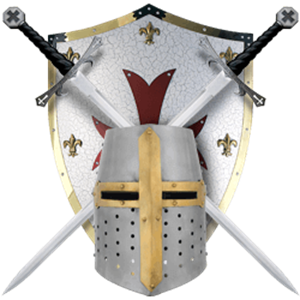 Join us at Medieval Collectibles and get your Crusader knights clothing, Crusader swords, Crusader armour, Crusader shields, and many other collectibles from this historical period! Gothic is a sub-culture that has spanned the globe since its creation in the early 1980s. Originally an English movement based around gothic music, gothic style has grown leaps and bounds since its early days. No longer does it restrict itself to those who listen to and support gothic rock. Gothic culture is now a world-wide trend that references aesthetics and fashion, as well. Traditional gothic fashion consists of dark colors, as well as clothing drawing upon Elizabethan, Victorian, and occult styles. We provide a wide array of gothic products including gothic feastware, gothic decor, gothic footwear, gothic jewelry, gothic hats, gothic handbags, and other darkly beautiful odds and ends. Whether you are looking for a gothic t-shirt, a gothic necklace, a gothic wine glass, a gothic candleholder, or anything in between, you can be sure to find the perfect item here. The Japanese pride themselves on the quality workmanship of their historical swords, armour, helmets, and home decor. 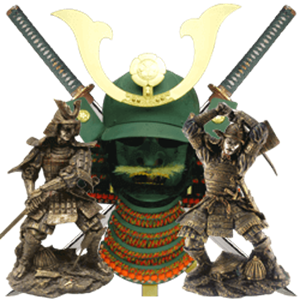 We carry a full line of Japanese products inspired by samurai, ninja, and other historical Japanese figures. Our inventory includes an array of authentic Japanese helmets and Japanese armour for reenactments, LARP battles, stage productions, and display. We provide a selection of stunning functional katana, wakizashi, and tanto from top manufacturers, which make excellent oriental blades to showcase when they are not in use. Our Japanese clothing and accessories round out our merchandise with excellent apparel for the Renaissance fair or martial arts practice. Finally, our Japanese decor includes eye-catching statues and other display pieces for your home or office. Take a moment to search these categories, and you are sure to discover many items to add to your wish list! The United States military has a long and distinguished history, dating back to the origins of the country. Originally, the United States military consisted of the Continental Army, Navy, and Marines, which were created to defend the new nation against the British Empire. Today, the military includes the Army, Navy, Marine Corps, Air Force, and Coast Guard. Headed by the president, these various branches act in unison to defend the nation against its enemies, both foreign and domestic. The military has always played a pivotal role in the history of the United States, participating in many major and minor conflicts over the years. 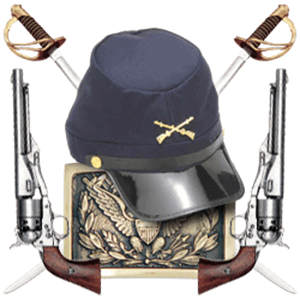 We offer a wide assortment of military, tactical, and survival gear inspired by this integral part of US history. We carry excellent military apparel for men, women, and children, as well as bold military signs and decor to show your support for our troops. Our military replica weapons serve as fantastic collectibles for enthusiasts, and our other tactical and survival products will help you to be ready for any circumstance. Musketeers were a special corps of swordsmen under King Louis XVIII. The musketeers were established to protect the crown and his wife, Queen Anne. Masters of sword fighting, musketeers lived by a strict code of honor and ethics. These dramatic figures inspired the popular novel by Alexandre Dumas called The Three Musketeers, which brought characters like Athos, Porthos, Aramis, and DArtagnan into popular culture. Together, these heroes fought against the wicked Cardinal Richelieu and Milady de Winter. 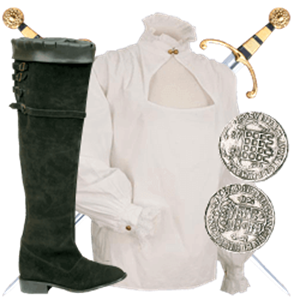 We carry an excellent selection of musketeer-themed gear, including musketeer clothing and musketeer swords. These items range from plumed cavalier hats and tabards to elegant musketeer rapiers and main gauches. 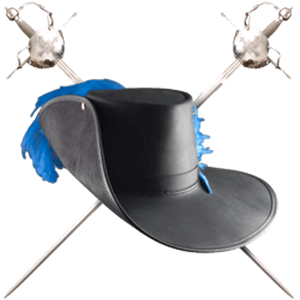 We are pleased to provide all the authentic musketeer costume pieces and reenactment weapons to meet your needs. Peasants during medieval times often worked as farmers or serfs, while others were blacksmiths, millers, and tavern keepers. Peasants served as the backbone of medieval society, working the land leased to them by wealthy landowners of the nobility. They produced all the food in their society and paid most of the taxes. Today, we provide an excellent selection of peasant clothing and peasant armour that will give anyone fantastic medieval style. Our peasant apparel includes many authentic looks that work well for Renaissance fairs, theatrical productions, LARP events, and costume parties. Our leather armour provides other excellent options for reenacting uprisings and medieval battles. Take a moment to browse, and you are sure to find many things of interest! Pirates committed robbery at sea by capturing ships or vessels, with their heyday lasting from the mid-1600s to the early 1700s. Piracy remains in popular culture due to symbols like the infamous Jolly Roger, media like Treasure Island and the Pirates of the Caribbean films, and the legends surrounding figures like Captain Kidd, Calico Jack, Blackbeard, Mary Read, and Anne Bonny. We carry a near-exhaustive selection of pirate and buccaneer-themed gear for collecting, reenactment, and costuming. 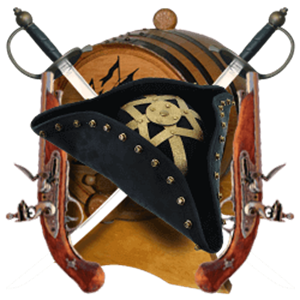 In addition to our nautical decor and pirate ship replicas, we offer pirate clothing, pirate weapons, pirate flags and signs, pirate jewelry, and other pirate collectibles. You can even assuage your thirst for various piratical spirits by picking out your own home-brewing barrels. This swashbuckler merchandise is perfect for stage productions, the Renaissance fair, costume parties, decorating your home, and showing off your love for the Golden Age of Piracy. 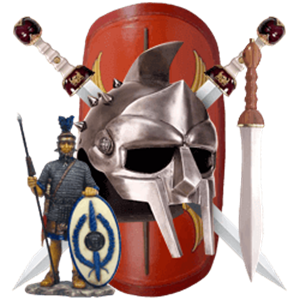 We have just about everything a Roman reenactor could want! 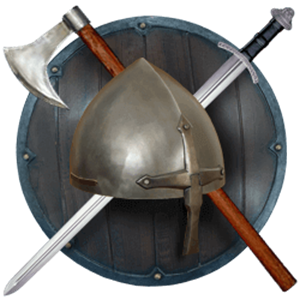 We carry an excellent variety of functional steel and leather Roman armour, such as Lorica Segmenta, muscle armour, Roman greaves, and gladiator armour. Our Roman clothing includes items like Roman tunics, gladiator sandals, and leather belts. Our Roman helms will complete a Roman legionnaire or centurion ensemble, though no look is truly finished without an impressive Roman sword like a spatha or gladius. We also offer other weapons like Roman daggers, Roman spears, and Roman shields, as well. 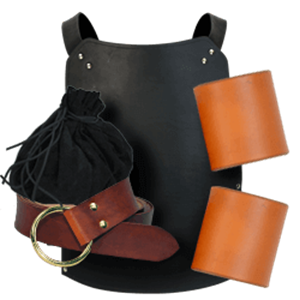 Our Roman camp gear includes fire pits, standards, stools, and other tools useful for Renaissance fairs, theatrical productions, and historical reenactments. Finally, we also provide excellent Roman jewelry, Roman statues, Roman coins, and other Roman collectibles that make great gifts and props. 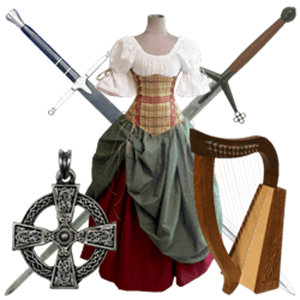 We offer a grand selection of Celtic and Scottish merchandise for the Highlander or Celtic reenactor. We carry Scottish clothing and Celtic clothing, including iconic pieces like Celtic dresses, Scottish kilts, Celtic chemises, and leather sporrans. 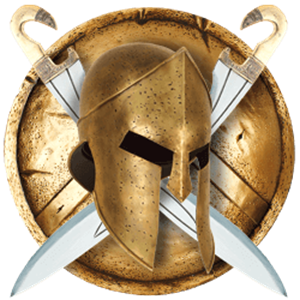 We also offer excellent leather armour and steel armour inspired by the fierce warriors of these ancient peoples. Our Scottish targes, sgian dubhs, dirks, claymores, and other Celtic weapons pair well with our historical armour for LARP events and reenactment. Additionally, we have high quality white bronze, pewter, and sterling silver Scottish and Celtic jewelry for daily wearing or giving as gifts. Our Scottish and Celtic collectibles extend to an excellent range of musical instruments, home decor, coin replicas, and other accessories that celebrate the rich culture and history of the Scots and Celts. 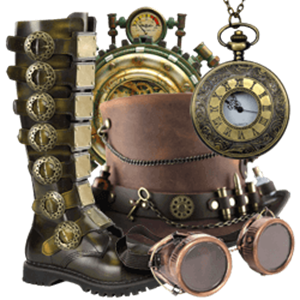 We are your one-stop shop for all your favorite steampunk fashion, accessories, and decor. Our steampunk clothing for men and women includes everything you need for gorgeous and unique steampunk costumes and daily attire, such as steampunk dresses, steampunk vests, steampunk coats, steampunk corsets, steampunk trousers, steampunk cravats, and much more. Our steampunk accessories range from dapper top hats to eclectic period footwear to Neo-Victorian goggles to steampunk jewelry and beyond. 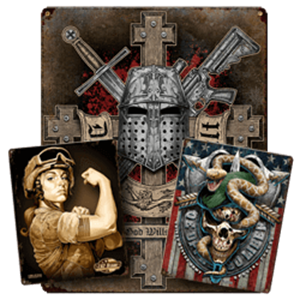 We also carry a vast selection of steampunk collectibles for your home or office that include steampunk statues, steampunk trinket boxes, steampunk clocks, and other striking accents. Whether you are looking for a unique steampunk pendant, some Neo-Victorian boots, a stylish bustle, or a ladies fascinator, you will be able to find a large number of pieces that inspire your imagination and look fantastic. The Tudors rose to power in the year 1485 following the conflict known as the Wars of the Roses, a series of civil wars fought by the Houses of York and Lancaster. The first Tudor monarch was Henry Tudor of the Lancasters, who solidified his power and path to the throne by uniting the warring factions through his marriage to Elizabeth of York. However, it was perhaps his descendent King Henry VIII who made the Tudor dynasty most famous, inspiring the Showtime series titled The Tudors. The Tudor dynasty also included important rulers like Bloody Queen Mary and Elizabeth I. We carry an excellent assortment of Tudor collectibles and other products inspired by these monarchs and their rules. Our Tudor clothing works well for reenactments, theatrical performances, and costume events, as does our Tudor jewelry. Our Tudor coins include replicas of many iconic pieces of currency, while our Tudor gifts range from keychains to pencils to thimbles to miniatures and beyond. History buffs are sure to appreciate the historical style of our Tudor categories. The Vikings were Norse or Scandinavian people famous for being pirates, explorers, and merchants who raided and colonized areas in Europe. Norsemen used their longships or Viking ships to travel as far as Russia, North Africa, and North America, spreading their culture and engraving their legend on history. The main period of Viking exploration is known as the Viking Age. Viking weapons and armour indicated a Norsemans social status. A wealthy Viking would own a Viking helmet, Viking shield, chainmail shirt and a coat made from animal skin or reindeer hides. A poorer Viking may only own a single weapon and a shield. The Viking shield and spear were the basic armaments of a warrior, while others would carry a knife known as a seax, a bow, or a Viking axe. We carry an excellent selection of Viking merchandise, including reenactment clothing, Viking jewelry, historical coins, Viking statues, and a variety of Norse weapons. The Wild West refers the development of the western half of the United States in the latter half of the 19th century. As the West began to be claimed by pioneers searching for land and a new life, various challenges gave the West a particular aesthetic, generating iconic characters like the gunslinger, the outlaw, the cowboy, the sheriff, and the gold prospector. 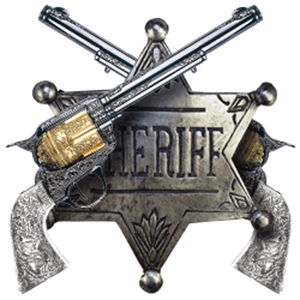 We bring the Wild West to its customers with a fantastic array of Western products like Western clothing and costumes, Western gun replicas, Western hats, and Western badges. Many of our historical pistols and rifles have been crafted for an authentic look. Our firearm replicas are non-firing but do include functional lock mechanisms and moveable parts. Our Western holsters and bullets will help to complete any collection. Many of our sheriff badges, U.S. Marshal badges, and ranger badges come in traditional star shapes, making them ideal accessories. Finish off any Western look with a fantastic cowboy hat, many of them made from high quality leather in bold designs. Our Western merchandise is great to use as stage props, costume accessories, or display pieces. Are you determined to live through the zombie apocalypse, or do you just enjoy hearing stories of the undead? No matter what kind of fan you are, We carry a great assortment of zombie products to help you celebrate or survive the zombie outbreak. We provide a number of zombie survival gear and tactical weapons, including zombie machetes, zombie knives, zombie axes, zombie throwing weapons, and more. 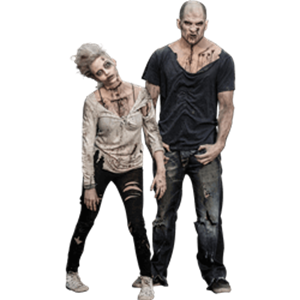 Our zombie-themed clothing and zombie Halloween costumes will allow you to dress like you are a member of the undead with items like zombie t-shirts, zombie prosthetics, and zombie accessories. Fans of the Walking Dead and other media are sure to enjoy our other zombie knick-knacks like zombie playing cards, zombie refrigerator magnets, POP vinyl figurines, Halloween props, and zombie dishes. Finally, our variety of zombie home decor will allow you to fill your life with all things zombie - whether you prefer to use them as seasonal decorations or display them all year round!